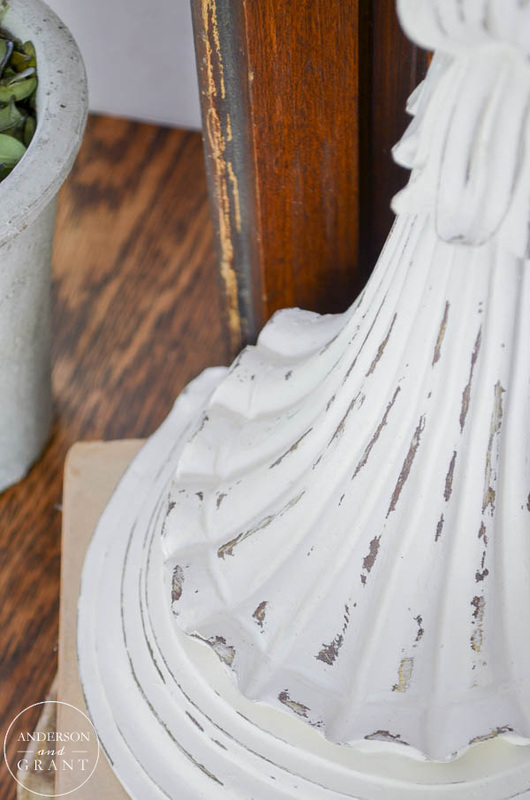 aged architectural corbels perfect for decorating. 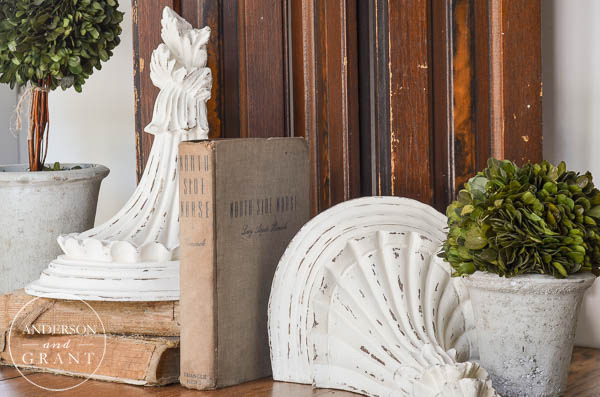 Have you been seeing a lot of old, aged corbels being used in decorating? The chipping paint. The weathered wood. Both things that call my name. While I have wanted some for myself, I haven't been able to find any old ones in my price range. 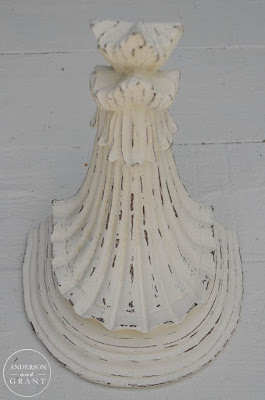 The plan was to buy a new corbel from Lowes to paint and distress to look old......Fast and easy project. 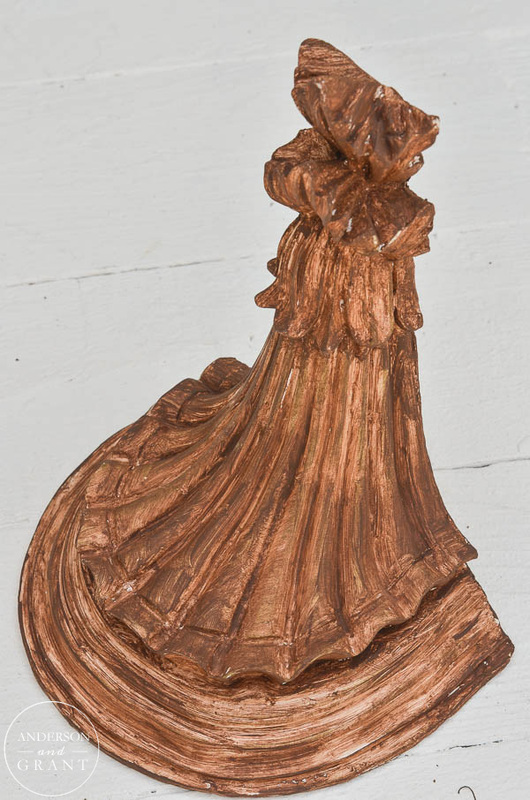 Except have you seen the price of a wood corbel?!?! It's over $50! I practically fainted right there on the concrete floor in the trim aisle. That idea wasn't going to work. The shelves are a type of foam coated with plastic. They were made to sort-of look like plaster but then had a brushed gold finish on them....not my style, but I decided they would work perfectly to try my technique on. Free is totally something I can work with. 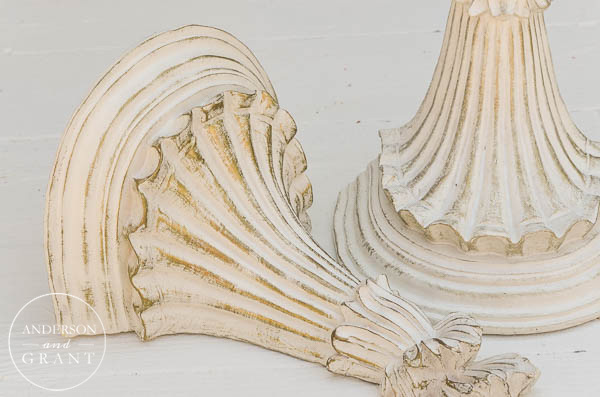 The corbels were first painted burnt umber craft pain and then dry-brushed with shades of brown. It was a similar technique to how I painted my dough bowls. 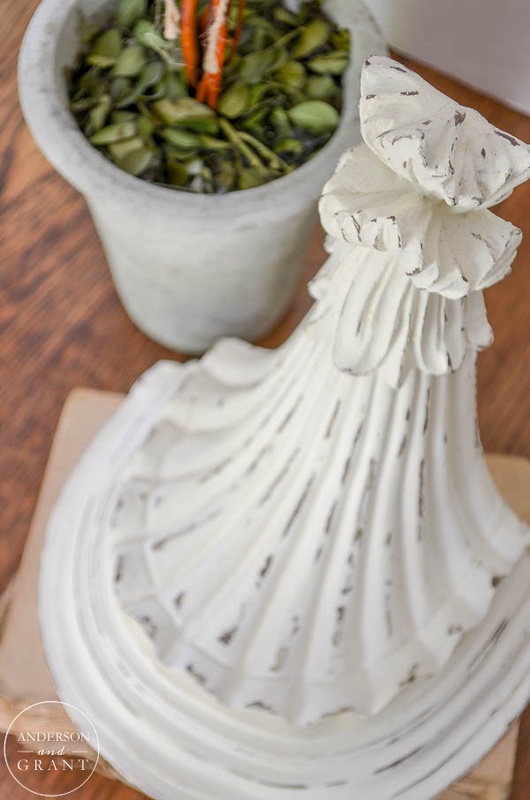 When the paint was dry, a clear candle was rubbed over all the edges where the paint would chip away. 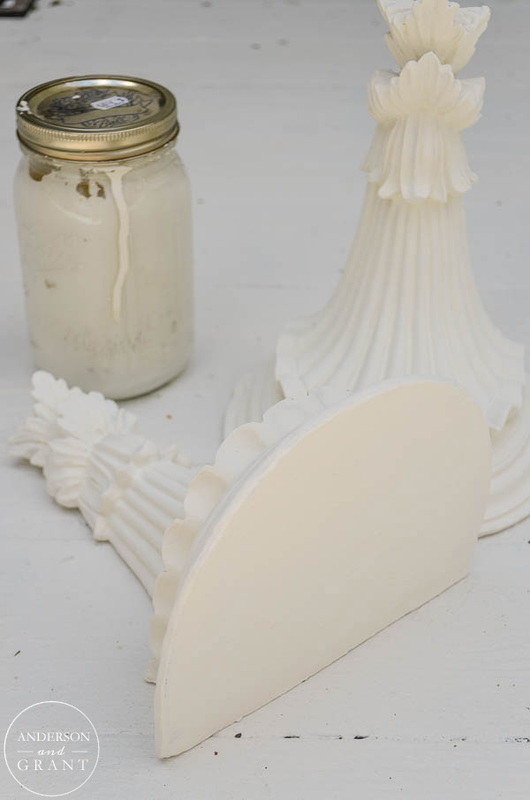 The candle wax helps to protect the surface underneath from being sanded after the corbels are painted white. 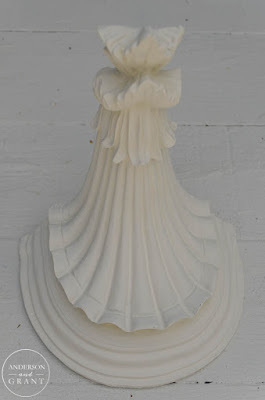 The next step was painting the corbels with two coats of white chalk paint. It was put on thicker in some areas more than others. 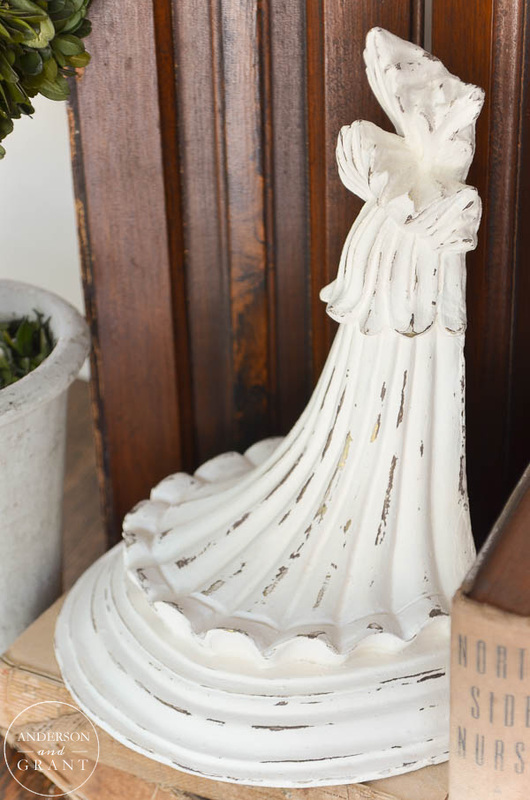 I love how much texture chalk paint can give to a surface. Gently sand the corbels to remove the white paint exposing the brown "wood" underneath. 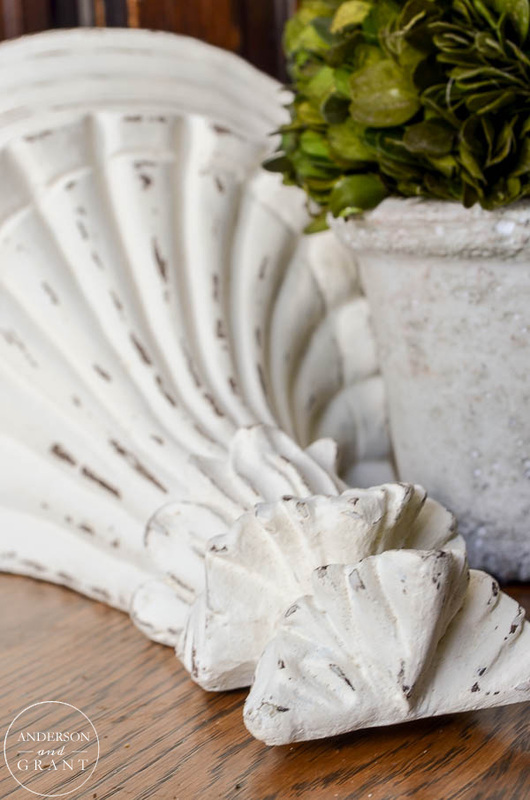 Begin with a fine grit sand paper until you see how easily the paint will chip away. Distressing really makes all the difference on this project, as you can see below. Some of the brown still chipped away when I sanded, but it actually further enhanced the worn look I was going for. 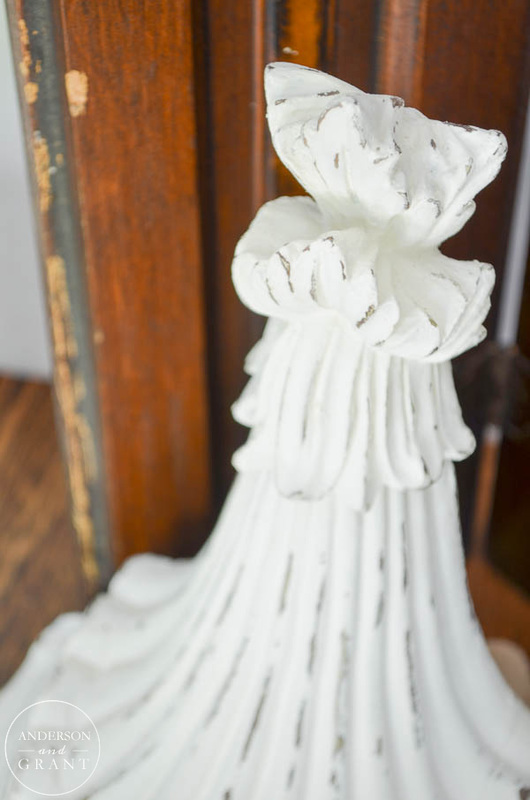 Coat the piece with clear furniture wax * to protect the finish. I prefer Miss Mustard Seed's brand*, but there are other choices available at the hardware store. (* denotes affiliate link). 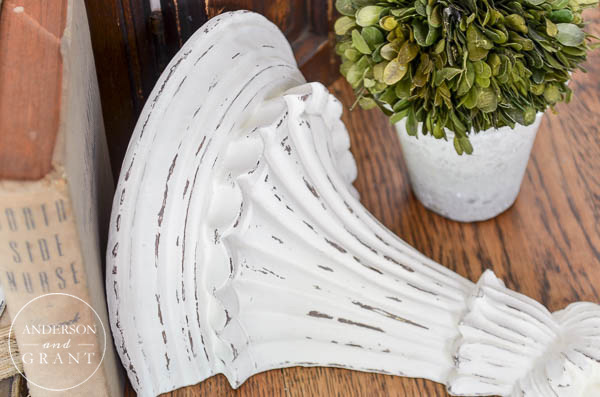 You could also use antiquing wax to give the corbels a little more patina. 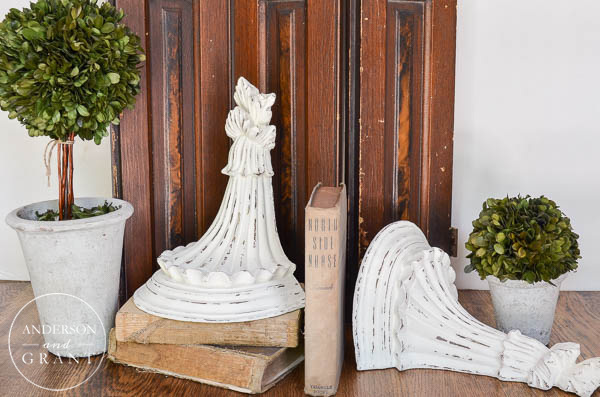 In addition to acting as decor on a shelf or table, these corbels will make terrific bookends or can be turned into a decorative shelf with the addition of a rustic piece of wood on top. 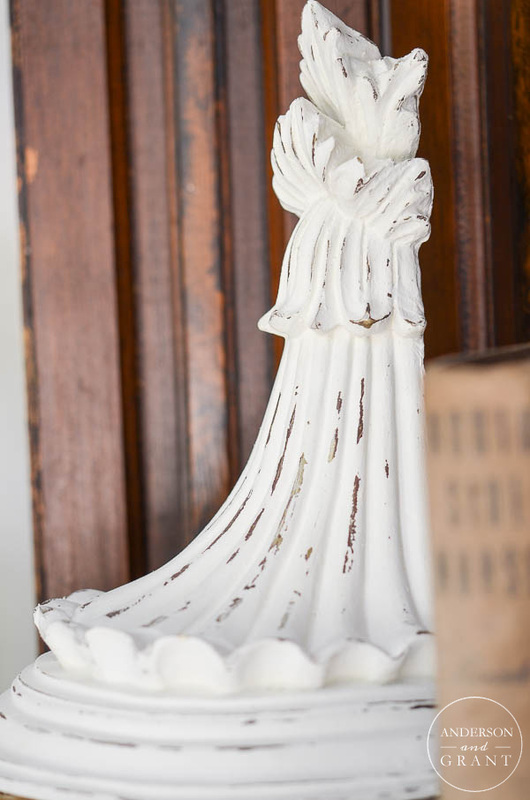 Doing this project was an inexpensive way to put a little architectural salvage into a display. Not quite the project I had in mind, but I really do love how the two corbels turned out. They will work perfectly until I can find the real thing. 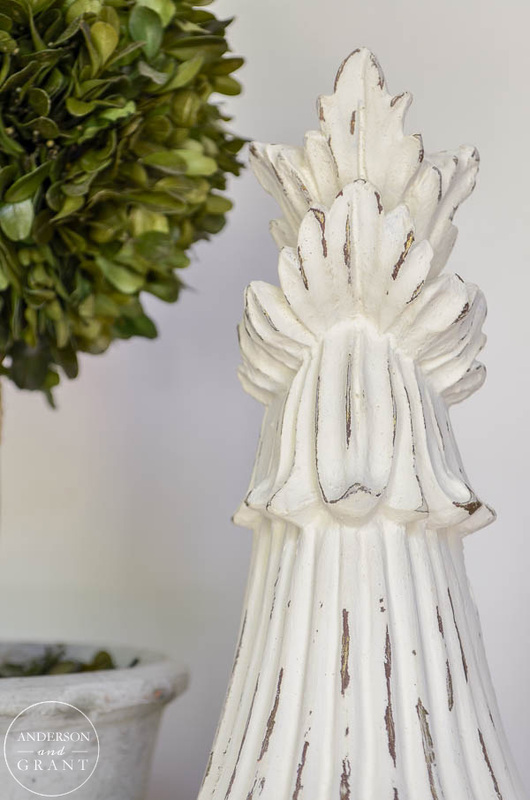 Do you have any forms of architectural salvage like corbels or old doors being used in your decor?